Tarter Round Back Rotary Cutter, 5 ft. This Tarter Farm and Ranch Equipment Round Back Rotary Cutter is ideal for cutting grass, stalks, and light brush. The new round back design allows for closer cutting around obstacles and provides improved aesthetics.Upgraded heav.. 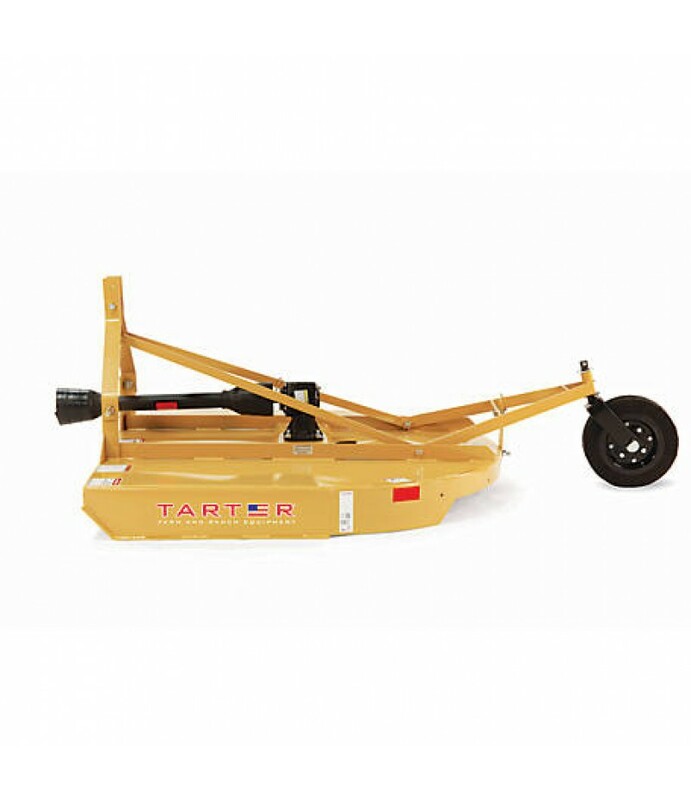 This Tarter Farm and Ranch Equipment Round Back Rotary Cutter is ideal for cutting grass, stalks, and light brush. The new round back design allows for closer cutting around obstacles and provides improved aesthetics. Maximum Cutting Height: 9 in. Minimum Cutting Height: 1-1/2 in.